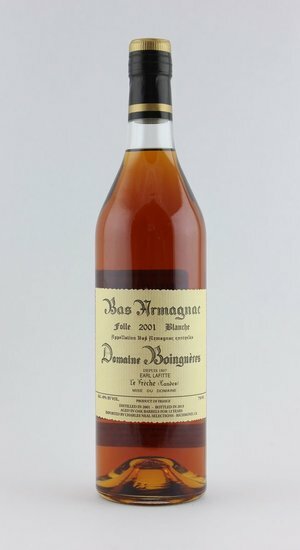 The vines of Le Freche are widely regarded as the highest quality terrior in the Armagnac region. 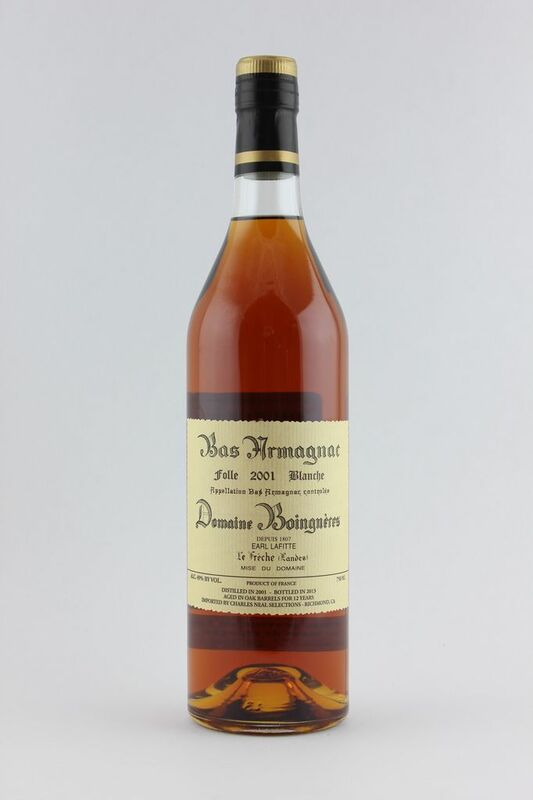 This tiny area is especially well-suited as well for brandies made from the noble and rare Folle Blanche grape variety and Boingneres is one of the few classic domaines that is dedicated to its preservation. The traditional single distillation is done slowly to allow the maximum level of complexity. Bottled at an unadulterated natural cask strength of 49 percent, this spirit is ripe with notes of raw honey, citrus orchards, chestnuts, marmalade, pure chocolate, dried tobacco, and rich spices.